Volunteering is the biggest positive social phenomenon in Toronto, with 40% of adults giving back. 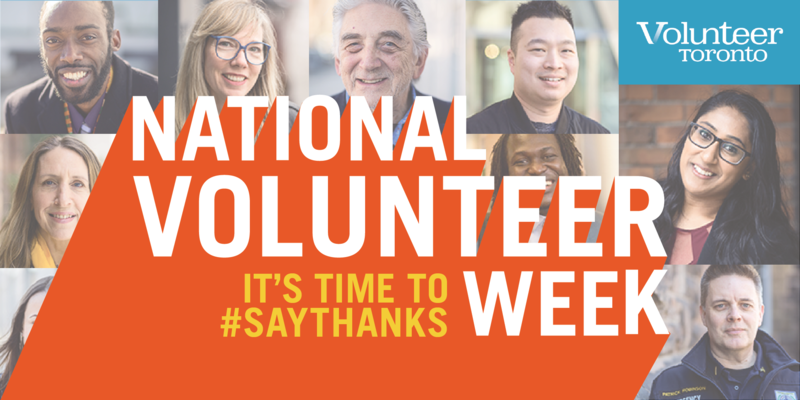 Once a year, during National Volunteer Week from April 7-13, Toronto recognizes the transformative contributions of our 1.6 million volunteers—the everyday citizens—who deliver critical services and landmark events that every Torontonian accesses and enjoys. On Tuesday, April 9, we invited all of this year's 110 Legacy Award nominees, as well as their friends and family, to #SayThanks with us at a special event. We celebrated all of Toronto's 1.6 million volunteers and recognized this year's six Legacy Award recipients—each an outstanding example of the volunteer spirit that powers our city. Want to learn more about this year's Legacy Award recipients and their amazing stories? Click here. Interested in hearing Paddy Bowen's full key note speech? Click here. Help us connect volunteers to the causes that need them through a charitable donation to Volunteer Toronto.